I have the opportunity to do one semester in a foreign country. 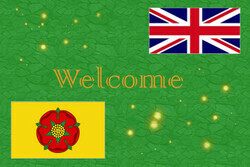 So I am going to study in the University of Cumbria in Lancaster (UK). In order to follow me in this "adventure" I encourage you to click on the different topics on the top left menu of this page, or to choose an article in the list of articles >> bellow <<.